Four Democratic presidential candidates will not attend next week's AIPAC conference following pressure by leftist group. Several Democratic presidential candidates will skip the American Israel Public Affairs Committee's (AIPAC) policy conference next week after a leftist group called on them to boycott the event, NBC News reported on Thursday. Senators Elizabeth Warren (D-MA), Kamala Harris (D-CA), and Bernie Sanders (I-VT), will all not attend the conference. A spokesman for former Rep. Beto O’Rourke told NBC News that he also will not attend. The candidates' decisions to skip the conference came one day after the MoveOn.org called on all 2020 presidential candidates to steer clear of the event. 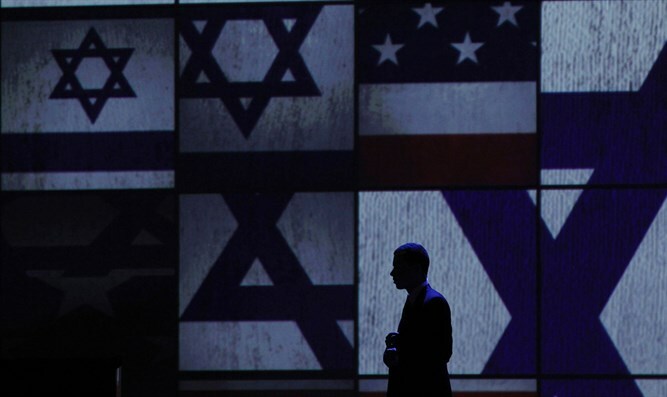 The group on Wednesday posted a poll on Twitter of its members, showing that 74 percent of them want candidates to skip the annual AIPAC conference. No declared presidential candidates were scheduled to speak at the conference, and AIPAC’s policy is that presidential candidates are invited to speak only in election years. However, candidates have in past years circulated at the conference and have held private parlors to meet with activists. Some of the declared Democratic candidates have been critical of the Israeli government. Warren, for example last year called on the Israeli government to respect the rights of Palestinian Arab protesters on the Gaza border. O’Rourke earlier this week accused Prime Minister Binyamin Netanyahu of “openly siding with racists” and using anti-Arab demagoguery in the 2015 Knesset election. Sanders, who is Jewish, has been critical of Israel as well. Last year, Sanders criticized Prime Minister Binyamin Netanyahu and his policies, saying, "As someone who believes absolutely and unequivocally in Israel's right to exist... we must say loudly and clearly, that to oppose the reactionary policies of Prime Minister Netanyahu does not make us anti-Israel."